The length of Ron Chernow’s 2004 biography of Alexander Hamilton is intimidating. However, the book is so superbly crafted and beautifully written that it deserves your attention. Hamilton had an amazing life, rising from the poorest and most miserable of origins to become George Washington’s right-hand man and the nation’s first Treasury Secretary. Chernow’s descriptions of Hamilton’s battles with Jefferson are engrossing and will put today’s politics in perspective. 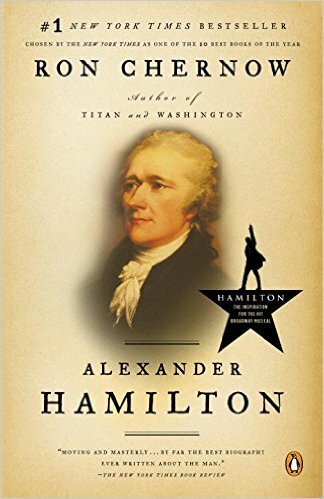 If that is not enough to persuade you to give it a look, this was the book that inspired Lin-Manuel Miranda to write the brilliant hip-hop Broadway musical Hamilton. Read the book and go see the show!